IDEA Inc. is dedicated to diversifying and expanding the Riverton and Fremont County economy by working with and assisting businesses to grow and become more profitable. IDEA Inc. is the official Economic Development entity for Riverton Wyoming. We have been serving Riverton since 2004 and in that time have helped to create or save over 120 local jobs. We work closely with local businesses helping them to expand, grow and become more profitable. We have a very good partnership with the Wyoming Business Council, Manufacturing-Works, Central Wyoming College, and the city of Riverton, The Wyoming Economic Development Association (WEDA) and the Wyoming Department of Workforce Services. If your business needs help, is looking to expand or grow, or just wants to be better connected to the community please call us. 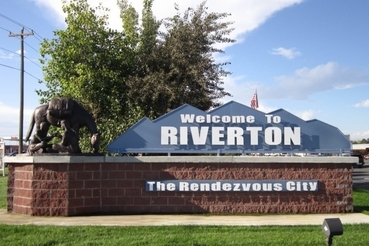 Riverton's Master Plan and Strategic Plan for Economic Development will be updated, with public input during the 2018-19 Fiscal year. Copyright © 2018 by IDEA Inc.